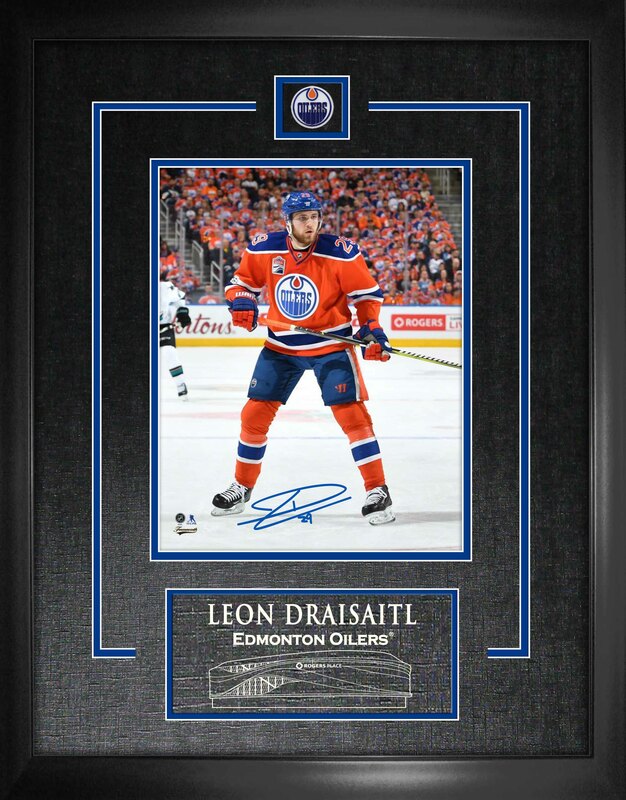 This photo has been personally signed by sniper, Leon Draisaitl. Leon was drafted third overall in the 2014 NHL Entry Draft. After the 2018 season, Leon scored 207 points over 269 games, slightly under a point a game. In 2016-17, Draisaitl finished second on Edmonton in scoring, helping Edmonton reach the playoffs for the first time since 2006. Draisaitl led the Oilers in postseason scoring with 16 points. This NHL & NHLPA licensed product comes with a Frameworth hologram and COA to ensure the authenticity of the autograph. This frame is displayed in a high quality black frame with professional matting featuring the team's colours. Finished size: 18x20".